17-year old Anum Qambrani from Pakistan aspires to be an international boxer. Her father, Younis Qambrani, is her mentor & coach. He believes boxing is not just Anum's passion, it is the shield that protects her from all odds in life. 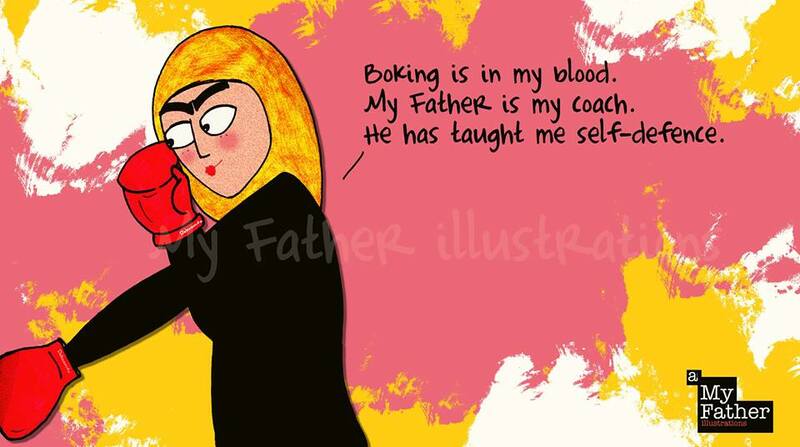 This illustration is a salute to all teenage female boxers from Pakistan.